All Oilers fans have marveled at highlights of The Great One, and have felt that excitement coming back to Oil Country with phenom Connor McDavid. But only real fans can immediately recall Ryan Smyth's third-period hat trick in the 2006 playoffs or have hit the road to support their team in enemy territory. 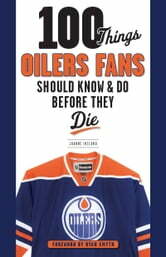 100 Things Oilers Fans Should Know & Do Before They Die is the ultimate resource for true Edmonton fans. Whether you were there in person for the Wayne Gretzky era, or whether the first game you attend is at the new Rogers Place, these are the 100 things every fan needs to know and do in their lifetime. 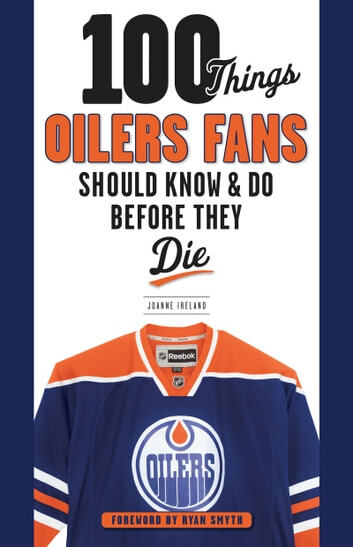 Experienced sportswriter Joanne Ireland has collected every essential piece of Oilers knowledge and trivia, as well as must-do activities, and ranks them all from 1 to 100, providing an entertaining and easy-to-follow checklist as you progress on your way to fan superstardom. "Then Perreault Said to Rico. . ."
The Great Hikes of Vancouver, B.C. "Then Wayne Said to Mario. . ."